Make memories during your upcoming stay at Fairfield Inn & Suites Orlando Near Universal Orlando Resort, winner of the 2016 TripAdvisor Certificate of Excellence. With an array of multifunctional spaces and modern amenities, it's simple to stay comfortable and connected in our vibrant accommodations. Unwind in our hotel's spacious rooms and suites with complimentary Wi-Fi and plush bedding before starting each morning with a balanced breakfast at our free buffet. When you're not closing business deals, shopping at Universal Citywalk or riding thrill rides at Universal Studios , maintain your wellness routines right on site. We provide a fitness center as well as an outdoor swimming pool featuring plush towels and comfortable lounge chairs to help you soak up the Florida sun. 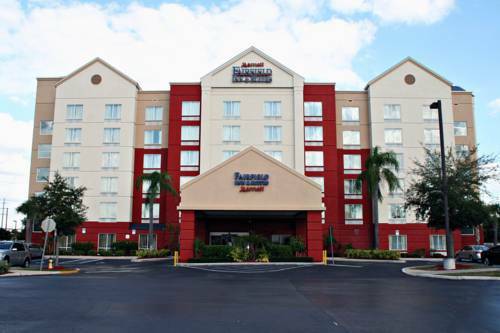 At Fairfield Inn & Suites Orlando Near Universal Orlando Resort, youre our #1 priority. Ask us about The Fairfield 100% Guarantee , where we promise you'll be satisfied or we'll make it right. That's our commitment to you.